+ What is taught in music lessons? I will teach the student how to listen and respond to sound using the language of music, how to understand and interpret rhythm and music notation, how to play the instrument with good technique and posture, how to practice, how to prioritise time, how to set goals, how to perform in front of an audience, general musicianship, historical context of the repertoire, music appreciation and an enjoyment of playing and/or singing. Piano students are encouraged to explore transposition, improvisation and composition, and improve their sight reading. Singers are encouraged to explore sight singing, improvisation, character work and songwriting. All students may additionally study formal music theory as part of their lesson. HSC students may also receive assistance with musicology, sight singing (for Music 2), or composition tasks. + My child wants to learn music. How involved should I be? As a parent, it is important to be involved in your child’s music education. At a minimum, parents need to peruse the practice journal in order to monitor progress, assist them to adhere to the goals set, remind the students to pack their books on lesson days and provide encouragement. Most students will need reminders to practice, especially throughout the first year of lessons, until good habits are established. Younger children will need their practice closely supervised. Sitting in on lessons can be beneficial for both parent and student, particularly if the student is of primary school-age or younger and all parties are comfortable with this arrangement. Parents who wish to learn their child’s instrument in order to better understand and assist their children in their pursuit of musical knowledge are encouraged to have lessons as well. + How old do you have to be to learn? Students aged 3 to 7 may share a lesson with a parent. See below for more details on these Parent & Child lessons. I take one-on-one piano students from the age of 7, as at this stage, they have the skills to read and can work independently. I take one-on-one vocal students from 7 years. 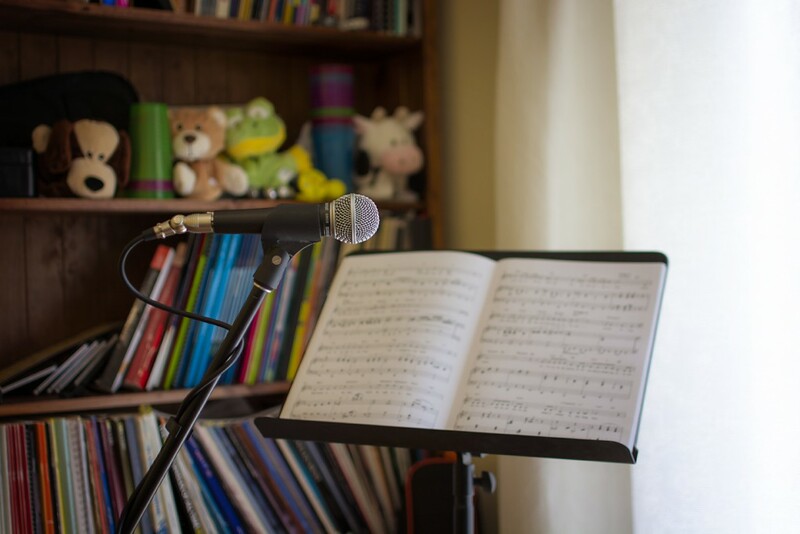 As well as vocal technique and repertoire, these lessons involve general musicianship skills including music reading, music theory, basic piano skills, rhythm activities and sight singing. 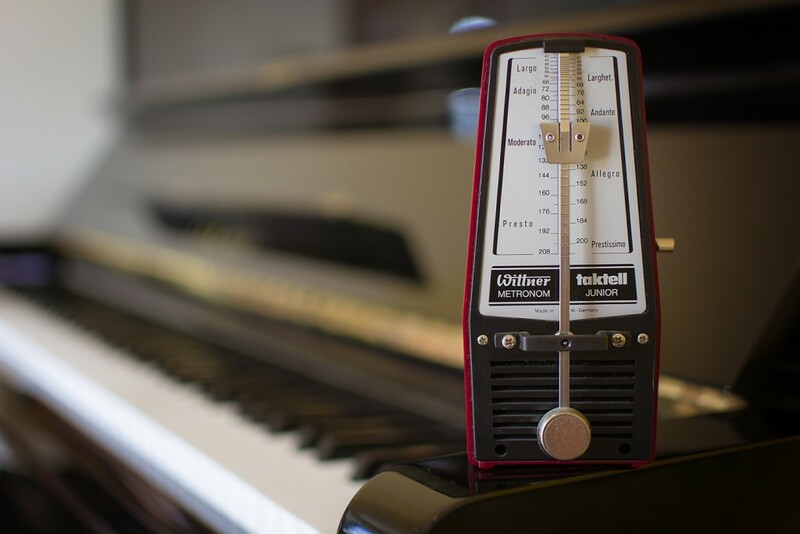 Specialised vocal lessons focussing on technique and repertoire start from age 12, except in exceptional circumstances such as the student presenting as very gifted or showing signs of vocal stress. Adult beginners are welcome. Nobody is too old to start music lessons! + Can I learn in a group or share a lesson? The studio space is not set up for group lessons. Shared lessons for parent and child aged 3 to 7 are available. These are 45 minutes per week and comprise a combination of child focussed and parent focussed activities, and are tailored specifically to the needs of the family. These lessons will explore singing, piano, rhythm activities, music games and more to foster a love of music and strong foundational skills. Special group short courses for adults and school holiday workshops for children occasionally run out of a larger space in nearby Seven Hills. Contact Helen for more details. + How much do lessons cost? Lessons are charged by the term. Most beginners start with a 30 minute private lesson per week, though lessons can be for 30, 45 or 60 minutes, depending on the age, level and needs of the student. A full list of packages and their costs is available on the Services page. If your needs are outside the scope of the listed packages, we can discuss options to suit you. + How do I pay my lesson fees? Payment is required by the first lesson of term. There is a 10% early bird discount for payment by the early bird date (approximately 14 days prior to commencement of term). Payment may be made by cash, cheque or direct deposit. Please ask for direct deposit details if you wish to use this option. Only students at the fully flexible rate may pay as they go. There are no EFTPOS or credit card facilities. + What is the policy on cancellations? Inability to attend a lesson should be advised as soon as possible. At least 24hrs notice is required in order to reschedule a lesson. Lessons cancelled with notice will be rescheduled at a mutually agreeable time within 8 weeks. Lessons cancelled by the teacher will be rescheduled. Lessons cancelled without notice will not be rescheduled. + What are your training and qualifications? I studied piano and voice at the Queensland University of Technology, where I graduated with a Bachelor of Music. I later completed a Master of Teaching in music and drama at the same university. I have an Associate of Music on piano from the AMEB and have completed up to and including 8th Grade AMEB singing (with Distinction), which is the level below Associate. I am a former high school performing arts teacher and a professional performing artist. + What if I want to do exams? You can! I have put many students through exams over the past two decades with consistently excellent results. Over the past six years of AMEB exams, 100% of all piano students and 43% of all singing and musical theatre students have achieved a result of Honours (A) or High Distinction (A+), with a 100% pass rate. I know how to best prepare a student for a music exam. The examining body sets the fees for exams and these therefore will be additional to your lesson fees. + What if I don’t want to do exams? You don’t have to do exams if you don’t want to. An exam is one way of setting goals, monitoring progress and getting performance practice but there are many other ways. Playing or singing for pleasure is a legitimate reason to learn music. + Can I choose the music I learn? We will work together to find appropriate repertoire for the needs, abilities and tastes of the student. As piano students are encouraged to complete the 40 Pieces Challenge, they will have opportunities to play many of their own choices as well as many pieces of my choosing. + How often do I practice and for how long? It’s not the quantity of practice, but the quality that is important. I teach students to plan their practice, set goals and aim to achieve each goal set by utilising many and varied techniques. The answer to the question is: as often as you can and until your goals are met. + What opportunities for performing are available? An annual recital is held towards the end of term one. This recital is an informal and low key celebration of student progress, where all students, including brand new beginners are encouraged to perform for family and friends. The recital is followed by afternoon tea, with all families bringing a plate to share. The emphasis is on developing a sense of community within the studio. Student workshops and masterclasses are offered on an as needed basis. Advanced students are able to compete in eisteddfods, and audition for local ensembles or musical theatre productions. School aged students are encouraged to take up as many performing opportunities at school as possible. Occasionally, local fêtes or community carols may seek performers from the studio. All students are encouraged to perform for family and friends semi regularly, in both formal and informal settings.